In most situations in today’s technical world, finding help for cyber security can be an expensive and frustrating time. Not only the cost of employing someone on staff as your Cyber Security Expert but the added costs of implementing the correct cyber security systems into your everyday business can be very expensive as well. Have they given you advice and know how into the other three components of cyber security and the framework to protect your business data. Along with the technology, the other three components are management, adaptability and compliance. Has the external support helped you with building policies and processes for YOUR business, set up internal auditing, helped set up the other components of the technology component like patching and updates, anti virus, have they helped you build resilience into your business and if all of this is in place have they helped you with the compliance audit that will certify your business or organisation. You see the technology of your business is only an small component of cyber security and what most external security experts are only interested in managing your firewall, wireless and VPN components. They normally care little for the rest of your business and if you have found one who is looking after all of the framework, then tell the rest of the world because it is a very rare business that you have found. If you do not have an external cyber security expert then what you need is somewhere where you can get the right information, with no sales spin, for your requirements. A place to ask the right question and get the right answer for YOUR business. We understand that this can be difficult because all businesses and organisations are different. The way you do business is different, the way you find customers is different, but most of all the management of the business is different. 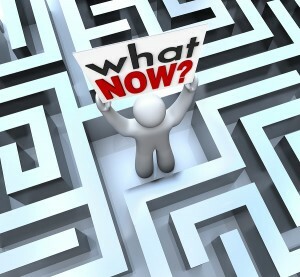 So, with that in mind, what YOU need, as a business or manager, is some way to get the right answers for your business. To do this you need somewhere to ask the right questions. This is the forum for that. Your first two questions and answers are free. So ask away! If you want some free information concerning Cyber Security then complete the form on your right to join the free weekly email newsletter. We will keep your information private and will not allow anyone else to utilise it.